Facebook is reportedly in talks to purchase New Mexico-based drone maker Titan Aerospace for $60 million. The social networking giant isn’t interested in competing with Amazon in the retail delivery space but instead wants to use the company’s technology to bolster their Internet.org initiative. Titan Aerospace specializes in making near-orbital drones that use solar power to stay in flight for up to five years at a time. 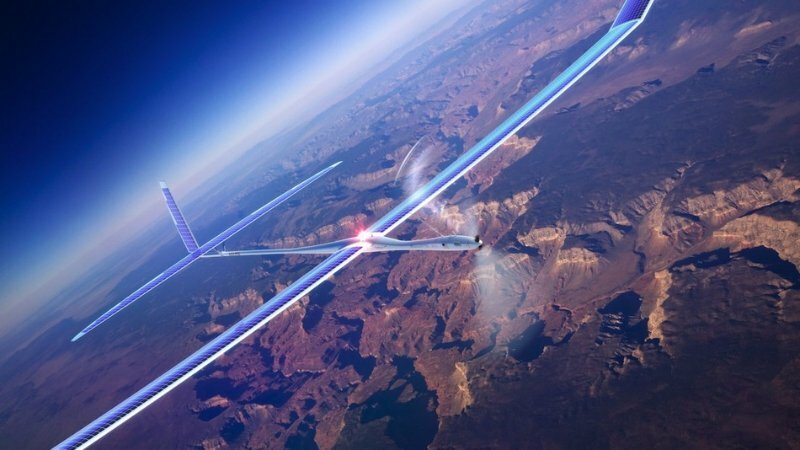 Facebook’s plan is to use these drones to help deliver Internet access to parts of the world that are largely without – like Africa. Sources claim Zuckerberg and company want to initially build 11,000 unmanned aerial vehicles (UAVs), model Solara 60. As seen in the clip above, these drones are best described as atmospheric satellites because they can conduct many of the same operations of a true orbital satellite at a fraction of the cost. Last summer, Facebook’s CEO outlined a plan to connect the next five billion people in the world to the Internet. We may seem like a very connected planet but the truth is that the majority of Earth’s inhabitants still don’t have access to the web. That’s something Zuckerberg and a handful of other tech firms hope to change over the coming years. The idea to connect the world using a fleet of high-flying machinery isn’t entirely new as Google unveiled a similar plan for Internet coverage last year. Project Loon aims to use hot air balloons equipped with solar panels to transmit a web connection to those living within range.